Whether you are purchasing a new home, or just realizing the importance of termite inspections to ensure the longevity of your home, scheduling your termite inspection at www.termitepro.us has never been easier. Our online scheduling tool takes the hassle out of making phone calls, being put on hold, or waiting for an inspector to call you back. Schedule your termite inspection instantly, at your convenience. Termite inspections are required by most lending institutions during real estate purchases, due to the importance of protecting your investment against the destruction caused by termite infestation. Securing a trustworthy, knowledgeable, and on-time termite inspector is of high importance. While timing is critical for your real estate transaction, at Accurate Termite and Pest Control, we are also keenly aware of how important your time is, so ease and convenience of scheduling is our top priority…whether you need a termite inspection, or just want one. At Accurate Termite and Pest Control, scheduling an inspection with one of our trained, experienced termite control experts is as easy as logging onto www.termitepro.us, selecting your inspector, date and time, and you’re done. When the termite inspector completes your in-depth report, we will make the appropriate recommendations to safely eliminate your termite infestation problems. 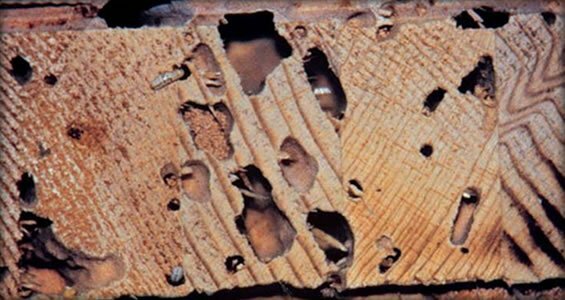 Whether you are an existing homeowner, or purchasing a new home, it’s important to keep in mind that termites are wood-destroying insects. The longer you wait for your termite inspection, the more damage will occur. If the termite infestation reaches the structural elements of your home or building, the structural repair bills can be devastating to a home or business owner. It is important to choose a reputable, knowledgeable termite inspector, such as www.termitepro.us. To the untrained eye, a home infested by termites may appear perfectly normal. A trained termite inspector, however, knows exactly what to look for and where. Many homeowners are shocked to find that the termite colonies destroying their homes have gone completely unnoticed. Termite nests and colonies may propagate between walls, in exterior eaves and decks, in basements, foundations, and underneath flooring. Annual or bi-annual inspections are recommended to ensure the longevity of your investment. At Accurate Termite and Pest Control, Inc., our mission is to ensure that individuals, families and businesses can go about their daily lives, free of pests such as invasive, destructive termites, or roaches, ants, and rodents. We created the www.termitepro.us website specifically to make scheduling termite inspections as fast and easy as possible. We look forward to hearing from you soon!